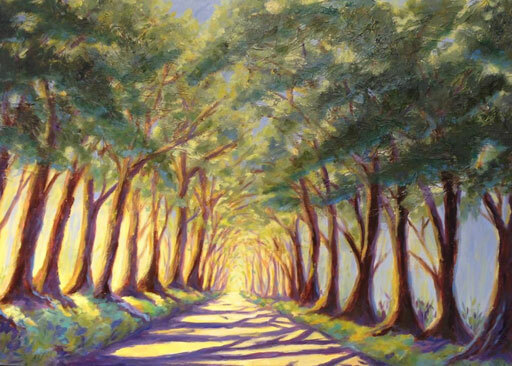 It’s all about the passage of light through the trees.This is the latest in a series of Tree Tunnel paintings that I have painted. Each has had a different feeling. The light dances through the tunnel and beckons you to come through it. It’s a magical passageway. Life is full of passages that we navigate during our lives. This painting represents one of those passages. 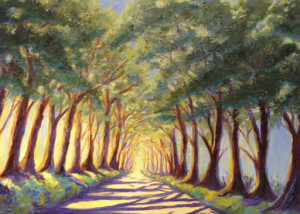 This piece is 24″x30″ and is available at the Art House StudioGallery in Koloa.